This document shows step by step instructions for KRC organizing related tasks on PowerBase. Groups (to the right) -> type FOREgr.., select "ORG FOREground Rex Susan Phones"
This group is a smart group that consists of: a) marked with group "ORG FOREground Rex Susan", b) has a phone number, and c) is not marked as "do not call"
Prospect: Assess the person's general interest in getting involved, based on the conversation (or what you already know), and score this interest from 5 to 1. This information will be shown later for other campaigns as reference. 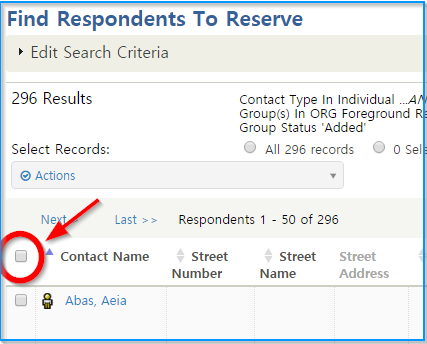 Options: if specific people need followup or there's a problem with a record, mark them as such. Tracking for specific event/action turnout? Mark them here as well. Note: there are two note boxes. Do not use the second one (the smaller one)! Use the first note box - the second note box gets saved, but is not searchable due to database design.